Several months ago, I designed and crocheted a hat using Naturally Caron Country yarn. I thoroughly enjoyed crocheting with this yarn. F (3.75 mm) crochet hook to work with and for the HAT that I was working on, it seemed to be the perfect size. The yarn was so very soft as I felt it slipping through my fingers. It actually felt almost like silk as I was crocheting it. The fabric that was created had beautiful stitch definition and unlike most other acrylics I have worked with, it had a wonderful drape as well. Perhaps the 25% merino wool makes all the difference in this gorgeous, yet very affordable yarn! I was first drawn to the vibrant, intense colors in the yarn bin at the store. All the colors in the Country line are lovely and yet dramatic at the same time. This yarn was a joy to crochet with and I look forward to making many more items with it! Etsy is having a Christmas in July sale! So many great items are on sale this month! Go to Etsy and search for CIJ under handmade! 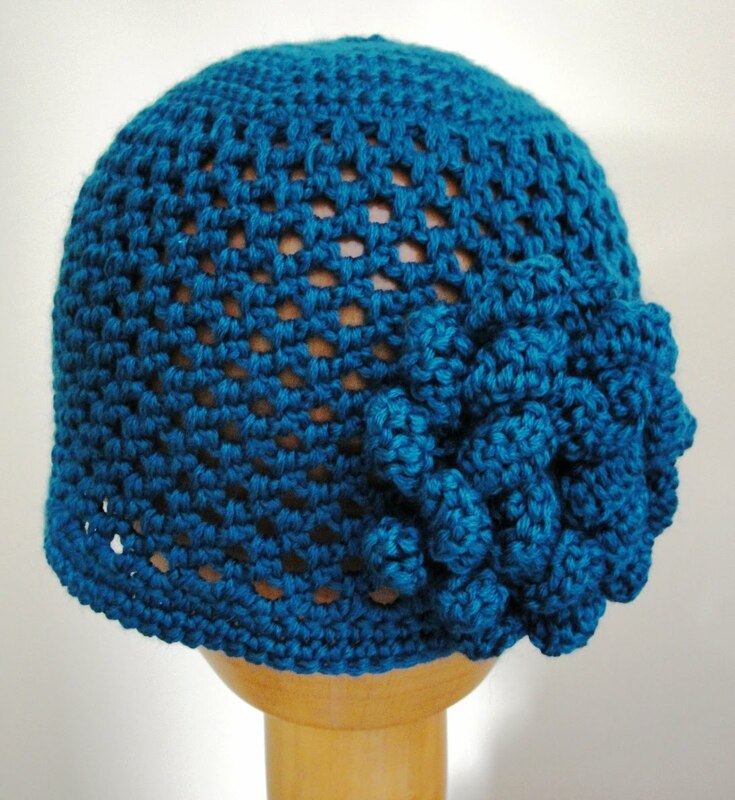 And, check out this great VINTAGE CROCHET PATTERN site that is participating in the CIJ sale! Such fun! I have discovered Treasuries on Etsy! I just completed my first one. You usually have to come up with a theme and then chose items that are listed on Etsy to place in your treasury. That’s it! I have been so inspired by our glorious summer that we are having (even though it’s been soooooooo hot! 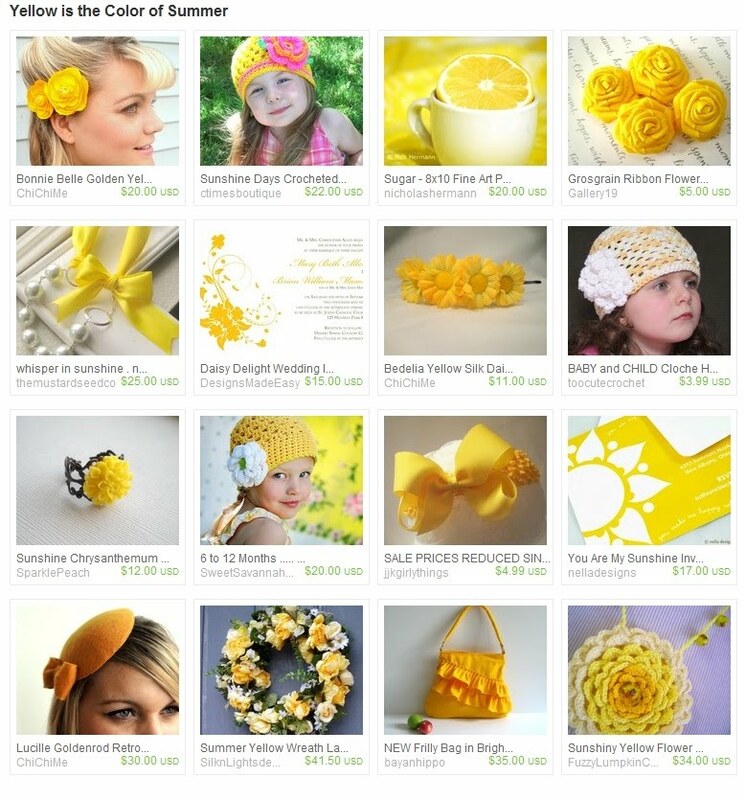 ), that I just had to create a summer treasury. Since yellow is my favorite color and reminds me of summer, the rest was a no brainer. See my first treasury HERE: You can click on the links in the treasury to view the items!